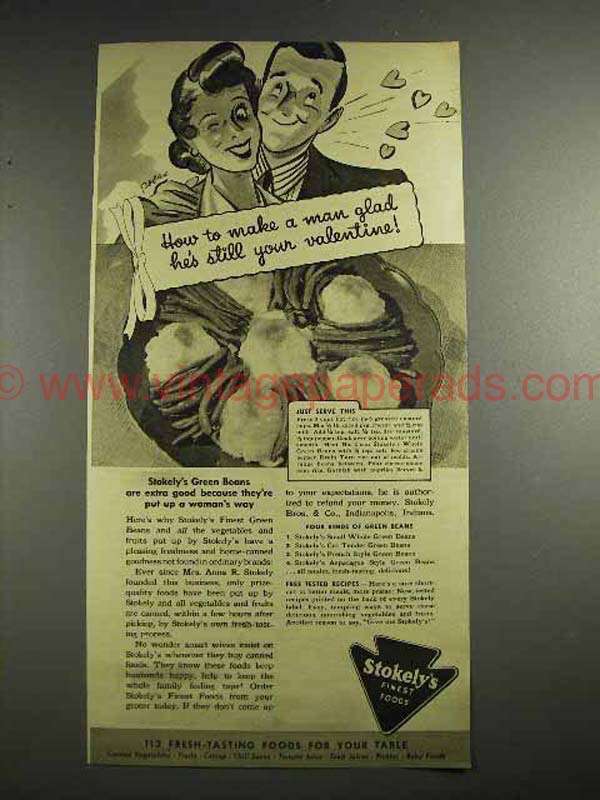 This is a 1941 ad for a Stokely's Green Beans! The size of the ad is approximately 5x11inches. The caption for this ad is 'How to make a man glad he's still your valentine' The ad is in good overall condition, with some light wear. This vintage ad would look great framed and displayed! Add it to your collection today! 1938 Stokely's Tomato Juice Ad - This Will Rouse Hiim!